v Philip Morris, R.J. Reynolds, Brown & Williamson, Lorillard, Liggett, American Tobacco Co., British American Tobacco, the Council for Tobacco Research, and the Tobacco Institute. In 1999 the US Department of Justice brought suit against nine cigarette manufacturers and two tobacco-related trade organizations, alleging that they violated the Racketeer Influenced and Corrupt Organizations Act (RICO) by engaging in a lengthy, unlawful conspiracy to deceive the American public about the health effects of smoking and other related matters. In August 2006, the district court in the Department of Justice tobacco case found that the tobacco companies “violated and continue to violate” the RICO Act. 2004 – March 10: Judge Kessler grants in part and denies in part plaintiffs’ motion for partial summary judgment. 2004 – March 17: Judge Kessler denies the defendants’ motion for summary judgment. 2004 – April 7: Judge denies Liggett’s motion for summary judgment, ruling that fact issues remained as to whether Liggett withdrew from the conspiracy in the mid-1990s. 2004 – May 6: Judge denies defendants’ motion for summary judgment based on the MSA. Judge grants plaintiff’s motion for partial summary judgment, ruling that plaintiff was not violating separation of powers because it was enforcing a law passed by Congress. 2004 – May 21: Judge denies motion for summary judgment by the Council for Tobacco Research (CTR) and the Tobacco Institute (TI). The judge also denied defendants’ motion for partial summary judgment. 2004 – May 28: Judge denies defendants’ motion for summary judgment. 2004 – July 7: Judge grants plaintiff’s motion for partial summary judgment on the defendants’ affirmative defenses, holding that the existence of the MSA enjoined them from unlawful activities and did not moot the plaintiff’s claims. 2004 – July 8: Judge denies defendants’ motion for partial summary judgment, ruling that claims related to the sub-scheme of nicotine manipulation and addiction could not be severed from the whole of the plaintiff’s fraud case. 2004 – July 9: Judge denies defendants’ motion for summary judgment. 2004 – July 15: Judge grants in part and denies in part the plaintiff’s motion for partial summary judgment, ruling that the defendants were distinct from the enterprise subject to RICO, as required by the statute, the liability for any given racketeering act must be determined at trial. 2005 – February 4: District of Columbia Circuit Court of Appeals holds that disgorgement is not a remedy for RICO violations. 2005 – April 20: US Court of Appeals for the District of Columbia denies appeal. 2005 – October 17: US Supreme Court denies certiorari. 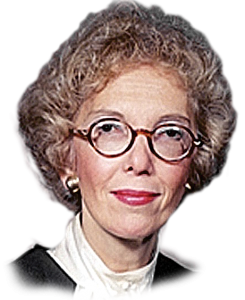 2006 – August 17: Judge Kessler enters a judgment for the government. 2006 – September 28: Circuit Court judge denies motion to stay the trial court’s order pending appeal. 2006 – October 31: Appeals Court grants motion to stay. 2008 – October 14: US Court of Appeals for the District of Columbia hears case, remands to trial court. 2009 – May: Circuit Court issues new ruling. 2010 – June: US Supreme Court denies petitions for certiorari. 2014 – June 6: Judge Kessler issues final order detailing “corrective statements” required of cigarette manufacturers. Under the direction of the Clinton Administration, the Department of Justice (DOJ) sued Philip Morris and eight other cigarette manufacturers as well as the Council for Tobacco Research and the Tobacco Institute, alleging past and ongoing violations of the Racketeer Influenced and Corrupt Organizations (RICO) Act because the conspired to deceive the American public about the health effects of smoking and environmental tobacco smoke, the addictiveness of nicotine, the health benefits from low tar (so-called “light”) cigarettes, and they manipulated of the design and composition of cigarettes in order to sustain nicotine addiction. The DOJ sought to recover health care expenses as well as equitable relief in the form of disgorgement of all proceeds from violating the RICO statutes. They also wanted to enjoin the defendants from acting in concert and making deceptive statements about cigarettes. They sought disclosure of documents and funding for corrective publication and cessation programs. After lengthy preliminaries in the spring and summer of 2004, followed by appeals in 2005, a bench trial was held in 2006. 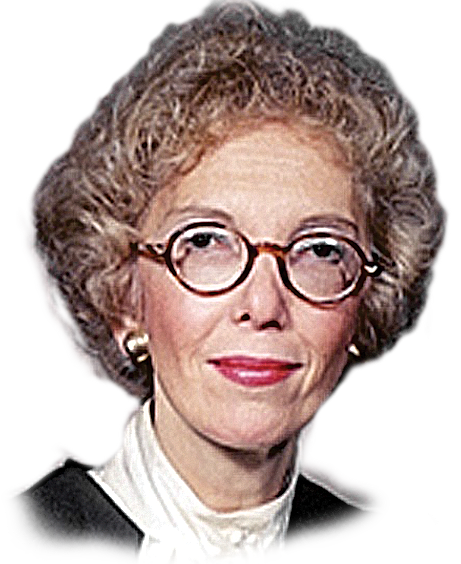 Judge Gladys Kessler found the defendants liable for civil RICO claims and enjoined them from using brand descriptors indicating lower health risks or making other misrepresentations to that effect. She ordered the industry to issue corrective communications and maintain document websites. She awarded costs to the DOJ but noted that she was not permitted by law to grant monetary damages. Both sides appealed. Appeals have dragged on for more than eight years. The industry has introduced costly legal delays at every step, and Judge Kessler has issued increasingly detailed and severe orders regarding the corrective statement required of the companies. See press accounts of this case.